Green Fatigue - Are People Finally Tired Of Being Scared? Who Should Be President Trump's Science Czar? You might notice Dr. Norm Borlaug, Nobel Laureate and "Father of the Green Revolution" in our Founder's Circle. 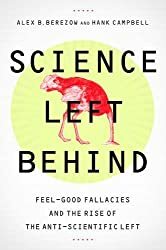 He was a big believer in advancing an evidence-based, pro-science approach to food, and he saw the need for debunking the myths that a generation of environmental groups began creating in the 1960s: Those groups believed that science was doing more harm than good, and we simply had to resign ourselves to famine and starvation and Draconian measures might need to be taken to control the population. The year before the American Council on Science and Health was founded, Drs. Paul Ehrlich and John Holdren, along with Anne Ehrlich, who was on the boards of groups like Friends of the Earth and Sierra Club, founded on controversial eugenics principles, wrote Ecoscience: Population, Resources, Environment. Their textbook was blunt in its prediction: We were going to starve unless involuntary population measures were taken. Who was on their side in the early days of masking eugenics beliefs by co-opting birth control? The Supreme Court at the time of Oliver Wendell Holmes who, when giving judicial justification for forced sterilization of the mentally ill, unhealthy and "promiscuous" women, wrote, "It is better for all the world, if instead of waiting to execute degenerate offspring for crime, or to let them starve for their imbecility, society can prevent those who are manifestly unfit from continuing their kind. The principle that sustains compulsory vaccination is broad enough to cover cutting the Fallopian tubes. Three generations of imbeciles are enough." Harsh words, but he wasn't alone. These beliefs were promoted across culture by the author H.G. Wells, economist John Maynard Keynes and plenty of other luminaries of their time (also, obviously, by Adolf Hitler) because they misunderstood evolution. People can colloquially joke about getting someone "out of the gene pool" but it doesn't work that way scientifically. Yet that's exactly the kind of simplistic thinking by environmentalists that worried Borlaug by the 1970s. He believed scientists had to stand up to such claims. Enter the American Council on Science and Health. Dr. Borlaug saw the necessity of a pro-science advocacy group and remained a friend and supporter until the end of his life. We were not the only ones. Years earlier he had helped found the Council for Agricultural Science and Technology (CAST) which was devoted to food issues. 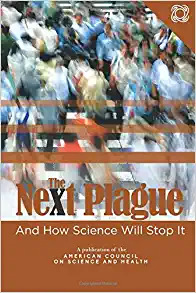 CAST, ACSH, and more were positive forces standing up against doomsday prophets like Holdren, Ehrlich and the many activist groups who found it lucrative to claim that the modern world was ruining us, even if none of it was true. Like CAST, ACSH remains small because, as we joke, 'your food is safe' is a terrible call to action, while anti-science groups scaremongering science and technology have grown to be 1,000X our revenue per year in that time. His positive approach remains at CAST. A new paper discusses the roadmap to feeding the world of 2050. As food security continues to improve, so will wealth, because a smaller percentage of wealth will be devoted to that basic necessity. That money is then freed up for culture and education and that will mean population slowdowns, as history has shown us. But we will still want to make sure people who were not born part of the "Agricultural 1%" - Americans and Europeans born where food happens to be easy to grow - can grow their own local produce sustainably and affordably. There are many approaches to that. Anti-science groups have become merchants of doubt about GMOs, RNAi, CRISPR and various other approaches (yet, oddly not mutagenesis, likely because so many organic food products were created using that form of genetic engineering) but those are a necessary part of the toolkit, as are hybrids, pesticides, no-till and more. An 'all of the above' approach is needed when it comes to something like food, that no human can opt out of. Science is the great equalizer. Holdren, Ehrlich and others remain opposed to that kind of "populism" but it is inherently fair to create a world where everyone can feed their own people. And that is a world Borlaug worked his entire life to help achieve. His legacy lives on at CAST and here and among agricultural scientists all across the world.